You cannot beat a pair of wool socks in the winter. 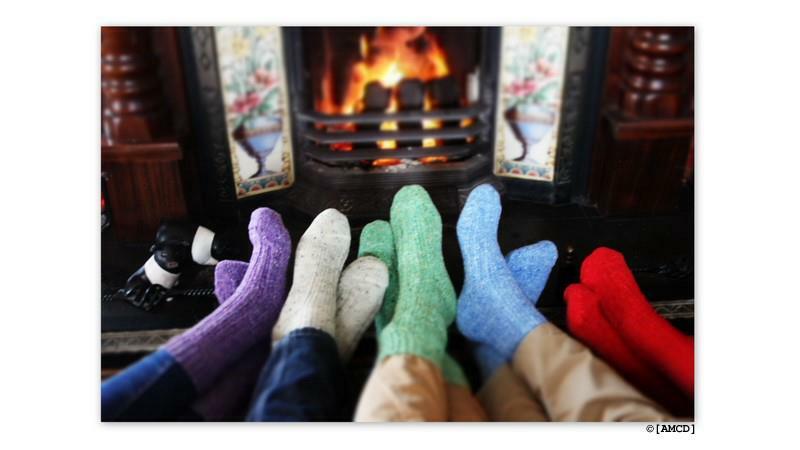 If you are particularly sensitive to the cold a pair of wool socks can improve circulation in the feet. We stock a variety of socks. From the 100% pure new wool organic Jacob’s Sheep socks (in a variation of natural brown colours to the bright and popular Donegal Socks made up of 80% Wool, pictured above. They are hugely popular online and in store for us, they make a great gift, coming in two sizes they make great gifts and they are light to post. For the those who are working in the outdoors, wool socks are a must for keeping your feet warm and very popular for those into hillwalking. Our Connemara range of socks, made up of 50% wool and 50% thermal fibres are perfect for hillwalkers, warm and you can throw them in the machine without worrying about shrinkage! Check out our range here under Irish Walking Socks.